In case you think I’m being too harsh, there’s this and this. That’s AP, Gallup and ABC, not Fox News talking. Nearly half of all Americans say Obama is not delivering on his major campaign promises, and a narrow majority have just some or no confidence that he will make the right decisions for the country’s future. By 58 percent to 38 percent, Americans said they prefer smaller government and fewer services to larger government with more services. Since he won the Democratic nomination in June 2008, the margin between those favoring smaller over larger government has moved in Post-ABC polls from five points to 20 points. In other news, an overwhelming majority of American approved of free pizza. Name calling and mud slinging. Distinct lack of facts or documentation. It’s not that you’re being too harsh, Trey. 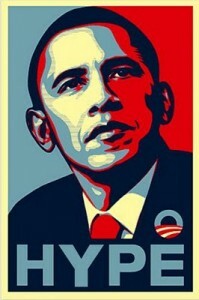 Saying that Obama’s presidency is over one year into his term is premature for sure. Gee, Bob…Brown just won Mass, and in doing so is the first wave of a political tsunami that will leave Obama’s agenda in the dust. Trey called it correctly. Obama is done. The first ever first-term lame duck. The mid-terms are going to finish him off.